Oh don’t tell me it’s another Saturday morning and you’re laying there feeling like a bear punched you in the face and an elephant kicked you in the ribs. What? Do you have a moral hangover and feel so embarrassed for all the crazy things you said and did last night? Do you even have any recollection of what went on last night? That’s what happens when you just can’t put down the bottle. Ease up partner. Life’s not that bad, and you are definitely making things worse for yourself for the long run. All the damage you’re doing to your body will catch up to you if it hasn’t already. And that pain behind your ribs is your poor, aching, liver. Is making a fool out of yourself really worth it? You may think while you are intoxicated that you’re having a good time, but what you’re really doing is being self-destructive and non-productive. Is that how you want to live the only life you’ve got? I hope not. Picture this. You’re laying in bed at 4AM after being at the club all night. You’re eyes are open, because you are afraid to fall asleep. You lay there thinking about how you acted and wonder what people may think about you now. You focus on breathing because you think you might forget to do so in your sleep and not wake up. You hear the beat in your chest and you breathe along to the sound of that beat. You’re just trying to just make it through the night. You know this isn’t the way you want to go on. You know you don’t want to let your parents down. You know that you are capable of living a much better life. As the sun comes up you realize didn’t sleep for a minute, but you’re happy to be alive. You realize you have so much to see and do with your life and suddenly feel so selfish for nearly killing yourself, because you over indulged in drugs and alcohol, and maybe not for the first time. You can start living a better life free of drugs and alcohol. The key is to find out the root to your drinking habits. Ask yourself what is it that is driving you drink. Once you know the underlying cause, you will be able to begin a rewarding journey on the path to a life without drugs and alcohol. I believe that a problem within our society is that alcohol has been made a common use in our culture. It’s what we use to celebrate and relax from a long day. We drink to have a good time and ease our pain. But the more we drink the more damage we do to our bodies and our lives, and some people can not stop once they have started. 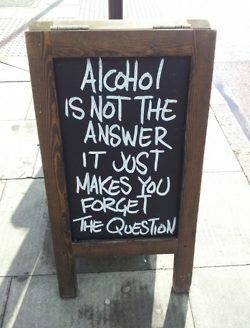 There are many reasons why a person drinks and those reasons are different for everyone. It could be because you are suffering from a loss of a loved one either in the form of death, or a breakup (relationship death). It could be because you are stressed and looking for a way to relax and calm your nerves. You may realize afterwards though that alcohol actually gives a person more anxiety after drinking because of the harmful effects it as on the body. If you or someone you know is struggling with an addiction to drugs or alcohol, seek help immediately. I recommend contacting Passages Malibu Addiction Treatment Center, in Malibu California, for treatment. There are about 2.5 million alcohol related deaths worldwide. Don’t let yourself or someone you know be another stat to this growing number. I also recommend picking up a copy of The Alcoholism and Addiction Cure written by father son duo, Chris and Pax Prentiss. Please visit www.PassagesMalibu.com for more information about getting the help you or a loved one needs today. Call (866) 436-2965 for details regarding pricing, and insurances accepted. I have a top notch hangover after my Birthday on Saturday. Definently going back to sober life.